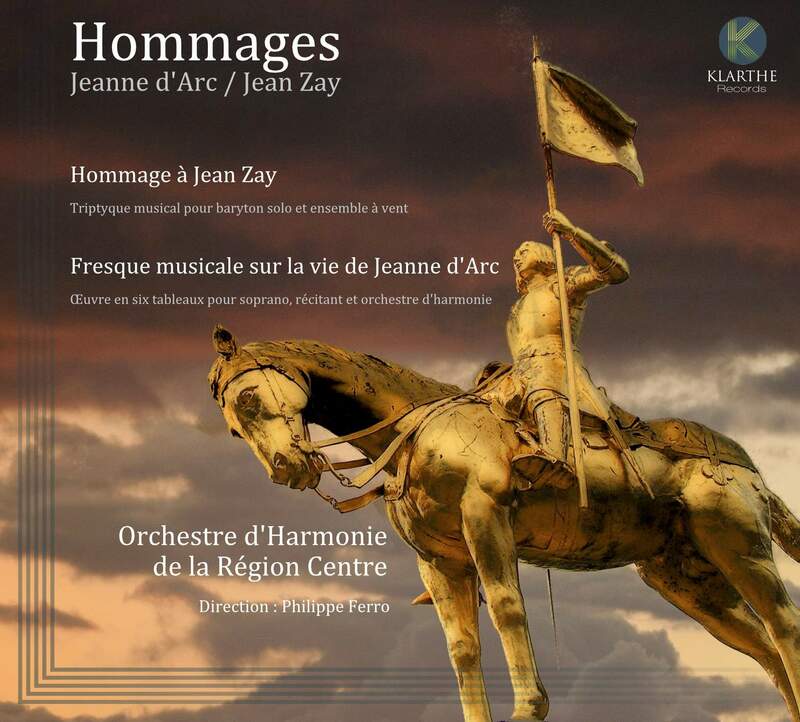 "The two works presented on this disk each pay homage to an important historical personality linked to the history of the 'Centre' region and in particular the town of Orléans: Joan of Arc and Jean Zay. Most importantly, it is the tenacity and the resistance that they showed in the face of their tragic destiny that were the main motivation behind these works. The idea of honouring their memory by composing, was for me, an obvious choice, as the past, present and future are, in my eyes, inseparable. Maurice Ravel was, in a certain sense, the common thread in this project. He had already conceived the idea of a musical 'fresco', with a number of tableaux, based on the novel, Joan of Arc, by Joseph Delteil. Unfortunately, the illness which overwhelmed Ravel in the last five years of his life, did not allow him to substantiate the idea. The 600th anniversary of the birth of Joan or Arc in 2012 seemed to me to be a wonderful occasion to pay homage to this heroine. On the other hand, it was Jean Zay, at the time Minister of Education and Fine Arts under the Front Populaire, who gave the eulogy at Ravel's funeral in 1937. It was equally under his initiative that performances of 14 Juillet by Romain Rolland were given in July 1936 at the Théatre de l'Alhambra in Paris. The musical interludes of this large-scale dramatic work were commissioned from Ibert, Auric, Milhaud, Roussel, Koechlin, Honegger and Lazarus, and the musical direction entrusted to Roger Desormière. Picasso was also solicited for the creation of the stage backdrop. 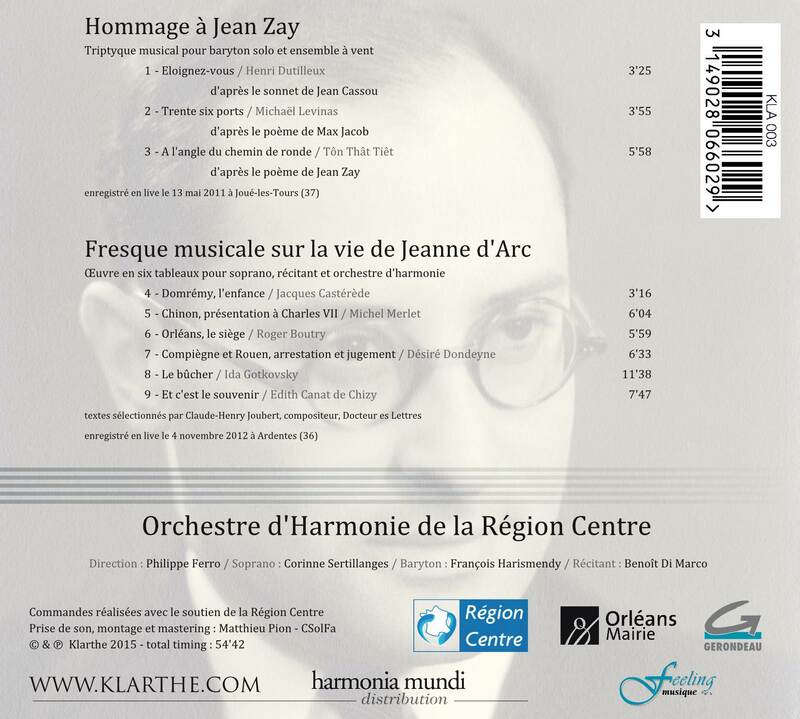 From these events, linked to the 30s, so rich in social and cultural upheaval, was born the idea of these two works, commissioned from nine French composers."